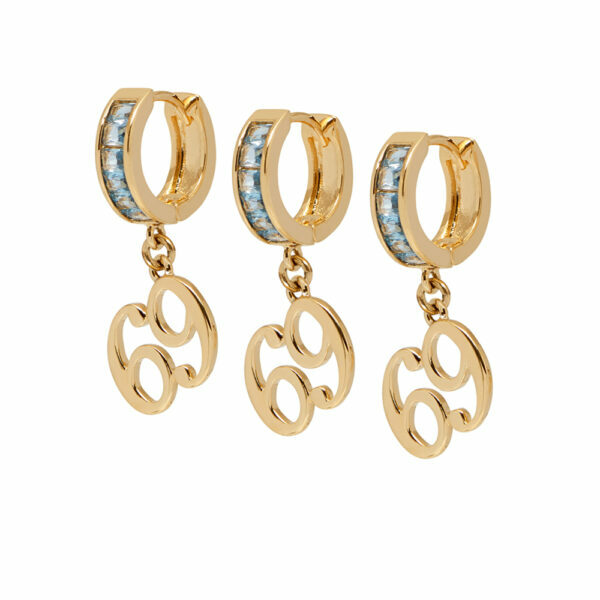 18kt Gold plated brass earrings. Light grey cubic zirconia. 69 charms.